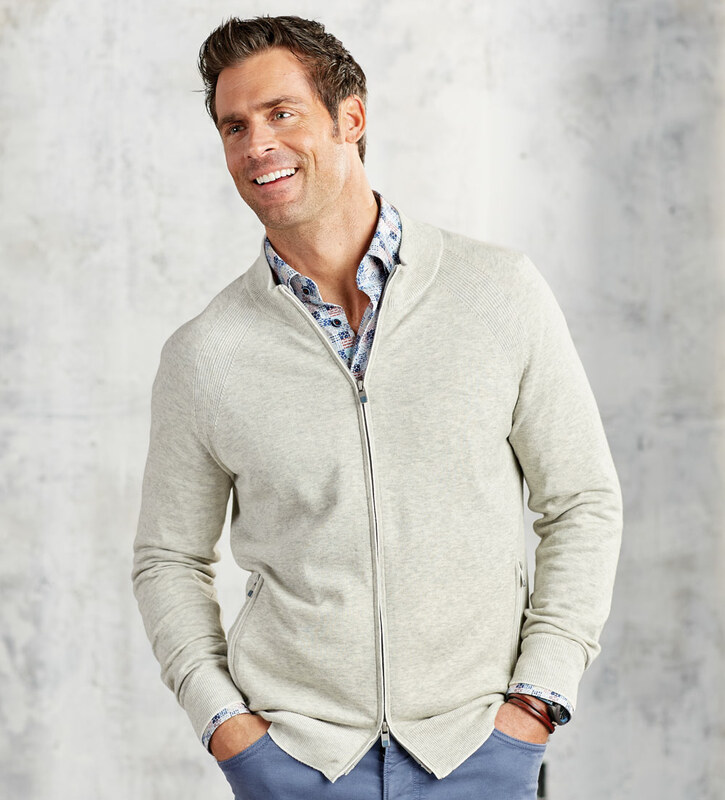 A relaxed look and a comfortable feel in luxurious, two-color, 100% cotton yarns. Two-way zip front, zip pockets, tipping detail, ribbed mock neck, cuffs and waistband. Dry clean or hand wash. Imported.